TV Reception has changed so much over the past few years, with various ways to view including TV Aerial, Cable and Satellite dish. The launch of Freeview and BBC Freesat allows for subscription free access to many more channels and of course we now have the digital switchover. 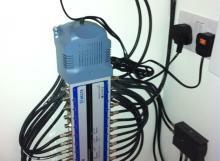 Getting good quality reception from your TV can be organised quickly and easily with Newbury Aerials. 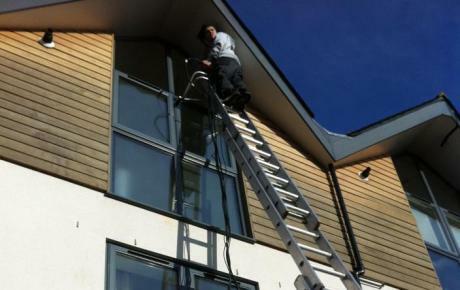 We can advise the best service for the area you live in and provide and install equipment to solve all your digital signal problems or needs. If you require a top quality service for a new TV aerial, Satellite Dish, Extra Outlet or simple adjustment we're here to help. If you are having problems with your Sky TV Signal and the Sky Helpline have diagnosed a Sky Dish, Cable or LNB Problem we can provide you with a competitively priced and fast service. 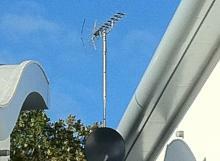 We can upgrade and repair most satellite dishes. 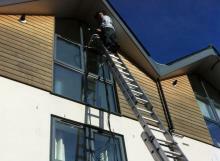 Our Sky repairs start with a Free Quote before any work is carried out. 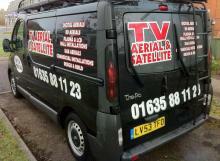 Call us now on 01635 88 11 23 about our Satellite Dish Repair Services. Getting good quality reception from your TV can be organised quickly and easily with TV Aerail & Satellite. We can advise the best service for the area you live in and provide and install equipment to solve all your digital signal problems or needs. Poor signal and a fuzzy TV picture even after the digital switchover leave viewers disappointed and confused; many people can’t understand why channels are missing despite owning a Freeview box top set. Existing analogue signals across the United Kingdom have been switched off and replaced with new, stronger digital signals, leaving many homes facing the task of changing their normal aerial to a digital TV aerial in order to receive the new and more efficient signal. Although existing aerials are able to receive the new enforced digital signal, picture quality is still poor and fuzzy for some homes and many channels remain missing, even though viewers can now receive Freeview. Despite needing to install a new digital TV aerial, making the switchover brings with it many benefits; more bandwidth created for services such as HDTV and wireless broadband, a greater choice of channels, and audio description and subtitling for people with visual and aural impairments.